If you’re passionate about patient care but don’t have the time or money to invest in a associate or bachelor’s nursing degree program, the practical nursing program will prepare you for licensure in just 12 to 18 months. These LPN program will cover the practical skills to prepare for the National Council Licensure Examination for Practical Nurses and entry-level employment in an acute and long-term care setting. Employment for LPNs is projected to increase 12 percent by 2026, according to the Bureau of Labor Statistics (BLS). The job growth is just behind the projected growth for registered nurses and faster than the average for all occupations. LPNS work in various health care settings including hospitals, patients’ homes, physicians’ offices, and long-term care facilities. 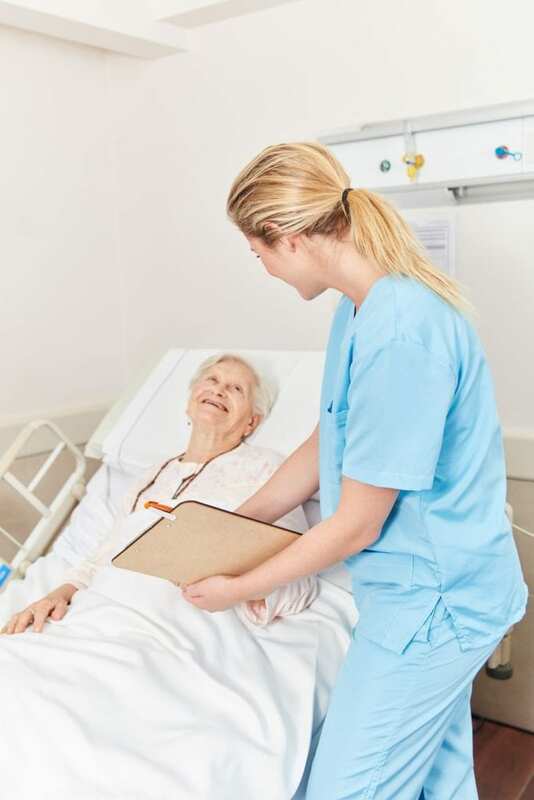 The Licensed Practical Nurse (LPN) program at Prince George’s Community College helps students gain an understanding of the nursing process that they will use as practical nurses to meet the health care needs of clients across their lifespan. The curriculum includes theory and practical instruction. Course topics include Introduction to Practical Nursing, Foundations of Nursing Practice, Reproductive Health, Physiological Integrity I: Nursing the Client With Acute and Chronic Health Alterations, Human Anatomy and Physiology I, Human Anatomy and Physiology II, Adaption and Practices, General Psychology, Composition I: Expository Writing, Human Growth Development, Introduction to Speech Communication, Group Communication and Leadership, Interpersonal Communication, and Public Speaking. Students who successfully complete the program’s 47 credits will receive a Practical Nursing Certificate and will be eligible to sit for the NCLEX for Practical Nurses. Since the program articulates with the Associate of Applied Science in Nursing, graduates will also be able to apply for advanced standing in the program. 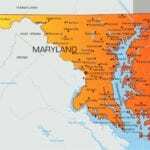 Priority will be given to Maryland residents. County residents will pay $107 per credit hours. Maryland residents will pay $202 per credit hour for tuition. The Practical Nursing program at Anne Arundel Community College prepares adults for an entry-level career as a practical nurse. The board-approved program requires completion of at least 41 credit hours. Instructors will cover theory in classroom and offer students the opportunity to develop professional nursing skills in a state-of-the-art lab and through a clinical experience in a hospital or extended care facility. Areas of study include the role of the practical nurse provider, concepts, principles and skills used in nursing, care of adults and children, mental health concepts, leadership and delegation, and acute and long term care. Prerequisite courses include human biology I and II, mathematics, and introduction to psychology. Evening and weekend schedules are available. Students who successfully complete the program will receive a Practical Nursing Certificate and will be eligible to sit for the NCLEX-PN. They may transfer up to 20 credits to an associate nursing program. Residents of Anne Arundel County will receive first consideration for admission to the program. Tuition for the program is $5,371. Books and supplies cost an additional $2,189. The Practical Nursing Program at Hagerstown Community College incorporates general studies with nursing courses in the classroom, lab, and clinical rotations in health care facilities. Instructors will emphasize basic nursing care of patients with acute and chronic health problems. Students must complete 42 credit hours. Course modules include Human Anatomy and Physiology I and II, English Composition, Introduction to Practical Nursing, Care of Human Needs, Practical Nursing through Lifespan I, II, and III, and General Psychology. The program is approved by the Maryland State Board of Nursing and accredited by the Accreditation Commission for Education in Nursing (ACEN). Upon completion of the requirements, graduates will be eligible to take the NCLEX for Practical Nurses. They will know how to use the nursing process, develop nursing plans use the basic principles taught in the classroom, adhere to legal and ethical guidelines, provide basic care in various health care settings, and use critical thinking and creative problem solving in practice. The duration of the program is 16 months. New programs begin in the summer. Students will be selected based on their TEAS scores. Tuition costs $7,432. 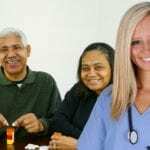 The LPN program qualifies as a Health Manpower Shortage Program so Maryland residents may be eligible for in-county tuition rates. The Practical Nursing program at the Community College of Baltimore County delivers theory and clinical training that will help students develop the competency to care for patients under the guidance of a registered nurse or physician. Prerequisite courses include Human Anatomy and Physiology, Biology I, College Composition I, Introduction to Psychology, Human Anatomy and Physiology I and II. Core courses include Foundations of Practical Nursing Concepts, Introduction to Pharmacology, Practical Nursing Concepts, Practical Nursing Concepts II, Mental Health Practical Nursing Concepts, Maternity and Pediatric Nursing Concepts, and Trends in Practical Nursing. Upon completion of the required 46 credit hours, students will receive a Practical Nursing Certificate and will be eligible to sit the NCLEX-PN for licensure by the Maryland Board of Nursing. They will qualify for a transfer track to a registered nursing program. Tuition costs $7,235. Books and supplies cost an additional $2,800. Carroll Community College prepares adults to contribute to the nursing team in acute and long-term care settings. Students will learn how to provide patient-centered care under the supervision of a registered nurse or physician. The program has been approved by the Maryland Board of Nursing and covers 62 credit hours of preclinical and clinical requirements. Students will complete the requirements in a fall, spring, and summer semesters after completing the pre-clinical courses. Pre-clinical requirements are Arts and Humanities, Biology and Physical Sciences, English Composition, Mathematics, Social and Behavioral Sciences, Human Anatomy and Physiology II, and Microbiology. Clinical requirements include Health Assessment, Medication Administration, Nursing Concepts I, Nursing Concepts II, and Practical Nursing Concepts. Admission is selective for the program. Tuition for in-county residents is $172 per credit.